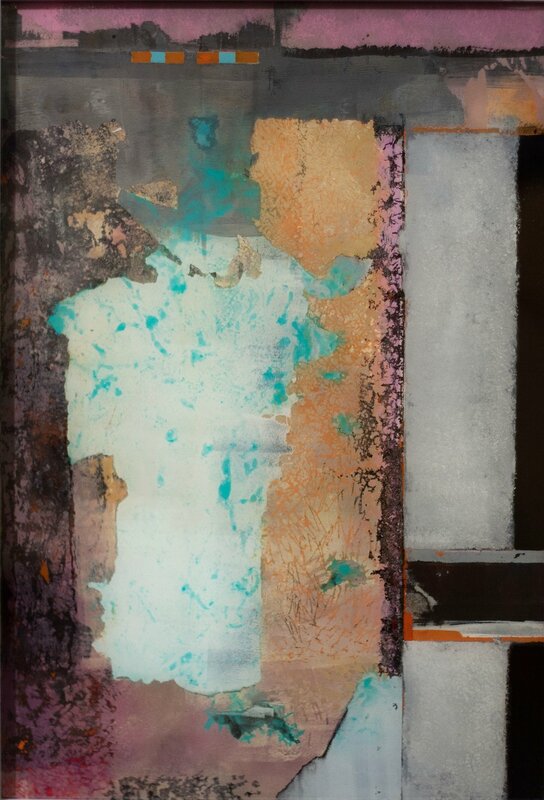 'FIRST WEDNESDAY' OPENING RECEPTION: 6/6, 6 - 9 P.M.
Overlay, Van Wade-Day's latest BRG exhibition, see the artist employ an intuitive process and a multitude of media to create a dozen original works using wood, glass, acrylic paints and inks. The works range in size from 17 x 12 to 9 x 12 inches. Regarding her approach to this body of work, Wade-Day simply and playfully says, "I wanted to see what would happen." Originally from Murfreesboro, Tennessee, Van Wade-Day has called Baton Rouge home since 1976. A versatile artist working in a range of media, her past work has included landscapes, personal fantasies, and abstractions. Wade-Day received her Bachelor’s degree from Middle Tennessee University in Murfreesboro and her Masters in Fine Art from the University of Georgia. Over the years, she has enjoyed an affiliation with various galleries in the area (in addition to BRG), and her work has been featured in exhibitions in many cities from Detroit to Nashville in addition to New Orleans and Baton Rouge. Her work is regularly included in local exhibitions at Caffery Gallery, FW Gallery, and the Alfred C. Glassell Jr. Exhibition Gallery.